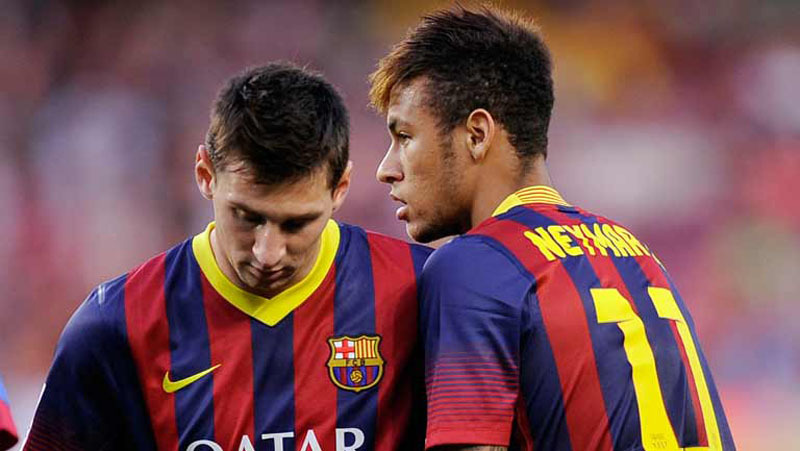 You Are Here: Home » Neymar news: 2018-19 » Messi, Suarez and Neymar – Where do they all fit in? 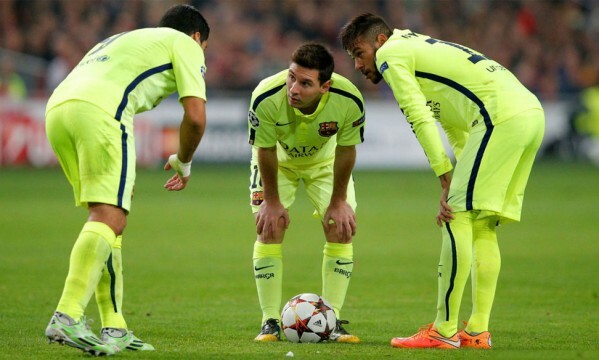 An attacking trident of Lionel Messi, Luis Suarez and Neymar, on paper at least, looks like a fantasy football line up and has the potential to wreak havoc across Europe. Barcelona have made this potent strike force a reality after signing Suarez for an astronomical fee over the summer, but despite such a wealth of talent, Luis Enrique has his work cut out trying to turn them into a cohesive unit and to justify their tag as second favourites with in the La Liga betting with Betfair.com. The question remains however – where do they all fit it? The natural thought process, as Enrique has already employed, is to start with Lionel Messi in his favoured central striking position, with Luis Suarez in close proximity on his right and Neymar on the left. But in four matches since Suarez made his competitive debut, it has failed to work. Of course, it’s early days but you would expect such a talented and experienced strike force (Neymar has over 50 International caps despite being just 22 years old), to hit the ground running. Barcelona, however, have lost two of those four games with an embarrassing 1-0 home defeat to Celta Vigo a particular concern. Suarez did make an immediate impact on his debut by setting up Neymar to open the scoring at the Bernabéu on just four minutes but that was it. A few glimpses of his tireless work rate and quality was on show but it proved to be a frustrating night, which was promptly followed by the 1-0 home defeat to Celta Vigo. Messi arguably had one of his poorest games in Barcelona shirt, running down blind alleys and missing a whole host of chances. The script was then set for Suarez to make his goalscoring bow against former club Ajax in the UEFA Champions League – instead it was Messi was scored both goals in a 2-0 win. It was then a surprise to see both Neymar and Suarez start on the bench against Almeria although both players did enter the fray on 45 minutes and made a telling contribution. Suarez took Barcelona up a notch while Neymar found the back of the net in a slender 2-1 lead. Critics have suggested that to achieve the maximum out of this star studded strike force, Suarez should start central with Messi nestled in behind and Neymar on the left hand side, with a more defensive minded right winger to offer a bit more protection. Suarez would then have to licence to roam and drift out to the right and Messi could surge forward. But the bigger question, in my opinion, is managing the egos and happiness of this strike force. Players of this calibre need to be managed rather than coached; devising a formation for Messi, Neymar and Suarez should play a backseat. They are talented and experienced enough to know when to run the channels and when to support centrally and they need to work on their understanding and ultimately be happy with their role within the team. Neymar maybe the most straight forward in this respect. His talent and enthusiasm for the game is matched by his goal scoring record, the Brazilian still has the air of a teenager playing a kick around game with his friends. Give him the ball in any situation and he will score and create chances – the kind of player who will play for 120 minutes every game if required. Messi, meanwhile, is a genius and a Barcelona legend who understands the philosophy and ethos of the club. The issue comes with trying to integrate Suarez into the Catalan fabric; how will he manage without being the main man? He single-handedly carries Uruguay while he performed similar heroics for Ajax and Liverpool. Managing personalities and expectations will be key to getting the best out of this strike force and not whether to play a 4-2-3-1 or 4-3-3.